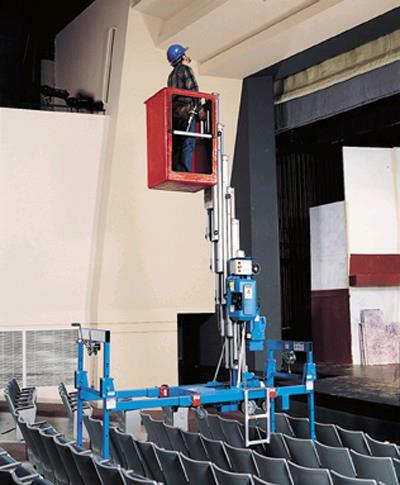 Provides up to 4 ft (1.22 m) of vertical clearance. End frames adjust for leveling on floors with slopes up to 5 degrees. Outriggers must be in place to operate.